In the guidance of V Ravichnadran and Singer Mano Udaya Singer Juniors has reached the Grand Finale. This Saturday and Sunday at 9 PM in Udaya TV, Udaya Singer Juniors Grand Finale. Udaya Singer Juniors which has successfully completed 20 episodes is ready with final 2 episodes for this season. The 2 episodes will be the grand finale which will be telecasted on 27th and 28th January. The special guest for the finale is Victory star Sharan. This show started with 16 contestants and for now Top-5 contestants have made to Grand Finale and one will be titled as Winner. This show was comprised with various elements, themes and to witness this Kannada Industries renounced artists like Malashree, Prema, Chethan, Shradha Srinath, Manvitha Harish, Karunya Ram made an appearance. Even personalities from musical field Archana Udupa, Praveen D Roa, Purna Chnadra tejaswi, K Kalyan, Anuradha Bhat, Ravi Basrur, Supriya Lohith and Sridhar Sambram were also part of show. Above all this the famous director’s Bhargava, Yograj Bhat encouraged all the contestants by their compliments to their singing performances. In this episode Top-5 Contestants Gurukiran, Tanush Raj, Niharika, Siri, Veekshan were qualified after a tough Semi-Finals participated in three rounds of Grand finale. In the first round the contestants were performing for classical round which saw the contestants sing classical songs from the Kannada industry. At the end of the first round one contestant was eliminated based on the scores. The second round was dedicated to the legendary film director Puttanna Kannagal. At the end of this round there was no elimination since judges themselves were confused as all the contestants performed exceptionally well.so this made Ravichandran decide that he is going to have a Jugal-bandhi Round as to have clear picture about the winner. 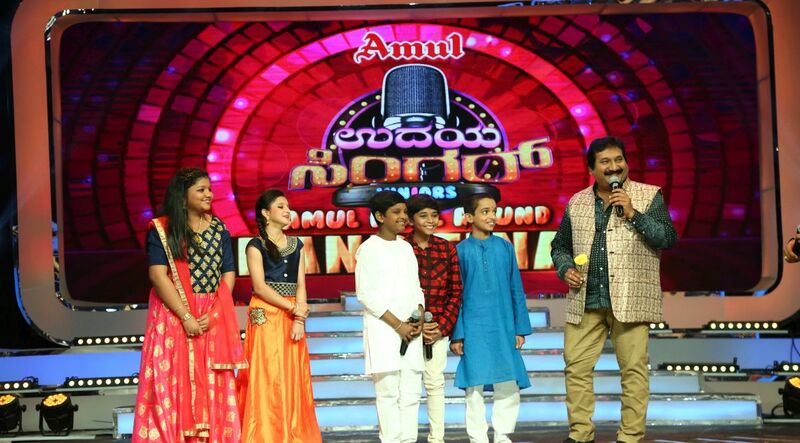 In the final round four kids were grouped in the team of two and they performed song together for Dr Rajkumar Hits.